Tabby is a model and friend of one of my favorite artists Lu Cong. He was in NY a while ago and introduced us when he came on set one of my shoots. 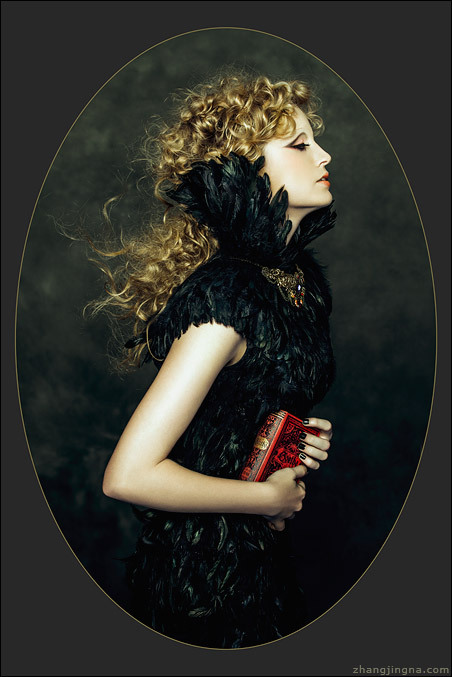 New editorial for Fashion Gone Rogue! One for every soul lost. 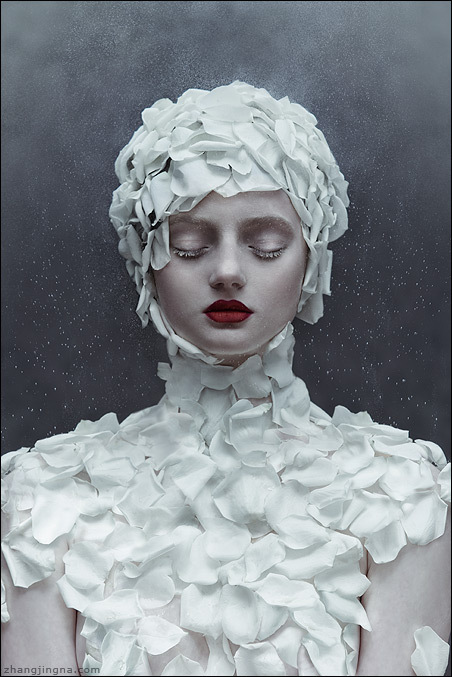 There is something a little more European about this image than the rest of my Motherland Chronicles pieces, I thought that was kind of nice. 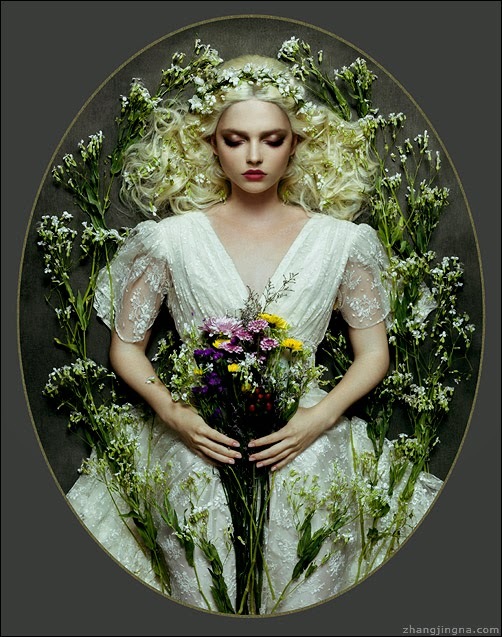 Then I realized that the pale hair and lashes reminded me of Ayami Kojima's work a little, which I thought hey, was pretty cool too, didn't see that when I was shooting. Super backlogged with posts and stuff but working on it! Excited about BlizzCon tomorrow! Gonna be in LA for the next 2 weeks through BlizzCon! Those of you who follow me probably know that I got sponsored by Savage Universal a while ago. I've been using their backdrops for a few years now, and I figure now is a good time as any to give a little review/recap on the on this commonly overlooked element in studio photography. The first backdrops I bought after moving to New York were black, white and gray. Regardless of brand, I think those are the best shades to have for a start as they are so versatile -- you can easily do the whole range of commercial, fashion, and moody. Adjusting the toning and lighting in post is also a lot easier with neutral shades than something that has color. The first great addition from to my inventory was the Savage Collapsible Backdrops. I adore shooting portraits and beauty, and with the collapsible backdrops, I can easily accomplish the background set-ups by myself since they fold and unfold like a giant reflector. Considering how often I do self portraits, small shoots and travel, this has made my life significantly easier. The backdrops are all sized at 5x6' and can be easily clipped onto their accompanying 8' stands. My most frequently used are the Black/White, Light/Dark Gray, and Monsoon. I probably use the Black/White Collapsible way too much, but I love shooting on black so much and this makes my life so easy. The black is especially handy for when I want a completely dark background that has no light reflection. Black seamless paper vs fabric backdrop. You can see the collapsible is almost completely black as it absorbs light from the strobe, whereas the seamless paper behind it catches and reflects a bit of light. Of course, with distance the light reflection won't be an issue (and you can even use gray or white to drop it to black) but for my little home studio this helps immensely. The Savage Paper Clip is probably my favorite thing ever. It's a storage item that keeps your seamless rolls organized against your wall. For a while when I first started buying more backdrops I had difficulties storing everything behind my couch, but thanks to this, I can now keep everything in the little recess right next to my door, making it easy to access while saving space at the same time. Each paper clip comes with an adhesive strip for you to stick the clip to the wall, and has slots for 6 rolls. I cut off one on the side to fit it into my a little corner so there's only 5 rolls here. But seriously, my favorite thing in my studio inventory. I also finally ventured into textured backdrops! After my experience with the Monsoon collapsible I'd been dying to get my hands on some full-length textured backdrops to shoot. 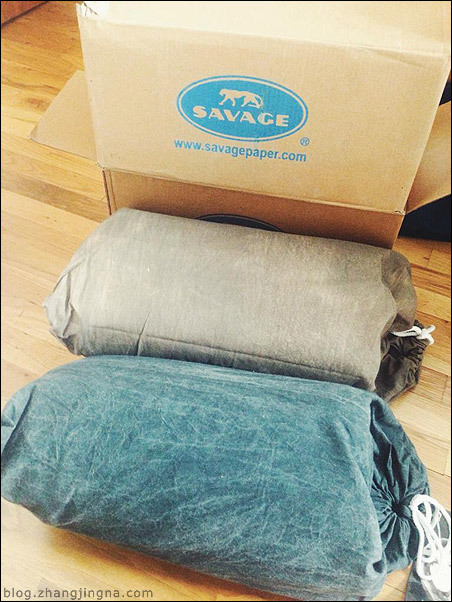 Savage was very kind to send me the Verona and Dark Gray muslins. This is the first time I've worked with a colored backdrop in a long time too. Check out behind the scenes for the shoot here where I talk about my thought process from inspiration to final. 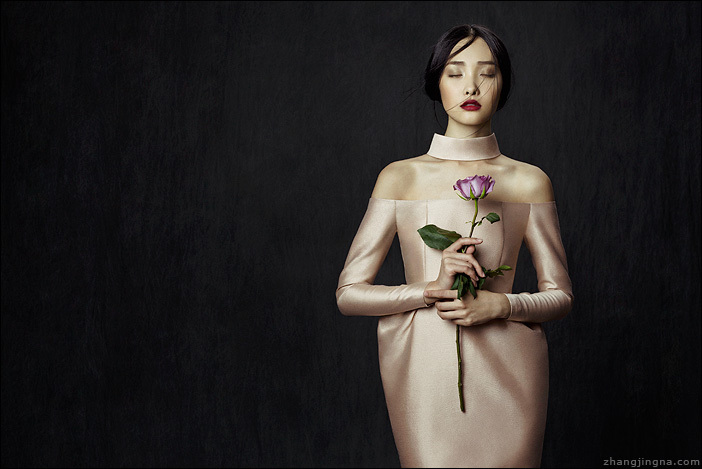 This was shot with the Savage Dark Gray Washed Muslin Backdrop. Very subtle and adds a different type of dimension from my usual full-black backgrounds. Check out more of my photography articles here, and my gear list here. Some of the product links in this post will bring you to Amazon or my favorite camera retailer Adorama , where I'll receive a small referral fee should you decide to make a purchase. This helps with the time spent on articles and the running of this blog, so please consider supporting the website. Thank you!